Continuing one of CALA‘s most successful months for coverage after a four page spread in Scottish Woman, and page features in the Metro, National Daily Express and Herald – CALA landed yet another double page. The successful coverage was achieved for CALA this month after a luxury property developer noticed Perth’s Kinnoull Hill; a new emergent hotspot in Scotland. CALA Homes‘ (East) Sales and Marketing Director, Sarah Stanger was surprised by the volume and geographic spread of house hunters making inquiries about the luxury homes. This significant development picked up coverage in the Scotsman where it featured over a two page spread.With a readership of 93,098 and a circulation of 26,283, the new development by CALA Homes achieved a mass amount of awareness. 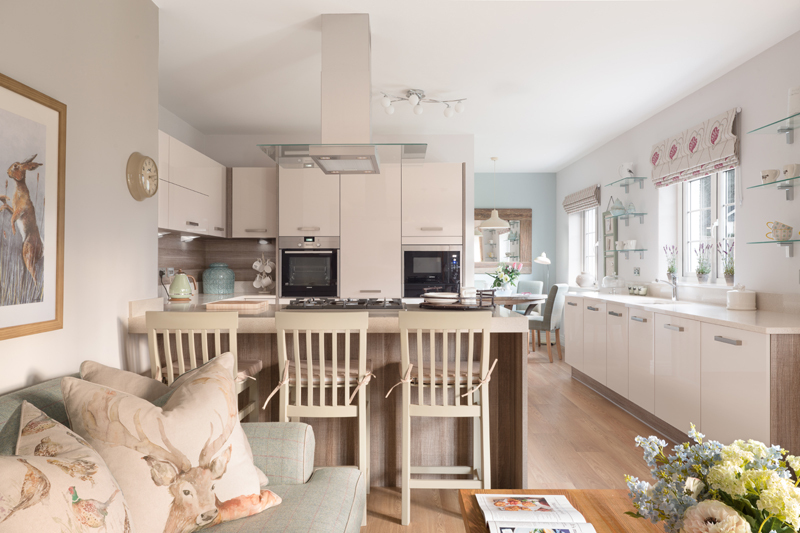 The two page spread also featured images of the site and inside one of the prestigious homes showing off the four and five bedroom detached properties with open plan kitchens/family rooms, bedrooms accompanied by en-suits and built-in-wardrobes. Each home has been created to offer prime family living. To find out more about Scotland’s newest housing hotspot, click here for the original press release.